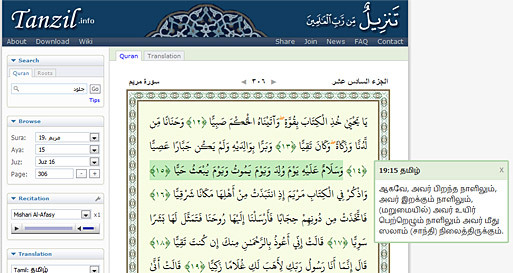 Did you know that you can easily get any verse or soora from Qur’an in beautiful Arabic text and paste it in to your word document ? There is a fantastic plugin for Microsoft Word (almost any latest version ) by brother Mohamad Taufiq from Indonesia, that will let you chose any Aayah and it’s translation and paste it in your document. Moreover it’s giving you a chance to paste it in Unicode or non-unicode characters. Which means, you can paste it in a Blog or Forum or any web related areas too.